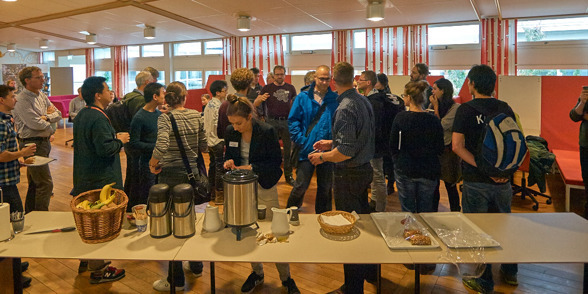 The thirteenth Krycklan symposium attracted over 80 people to participate in two sessions on forest ditches and on the management of small streams. The program presented invited speakers from Finland and Canada. Hjalmar Laudon, professor in forest biogeochemistry and leader of the research Krycklan is pleased with this year's symposium. - Krycklan is about research infrastructure, but also about people. 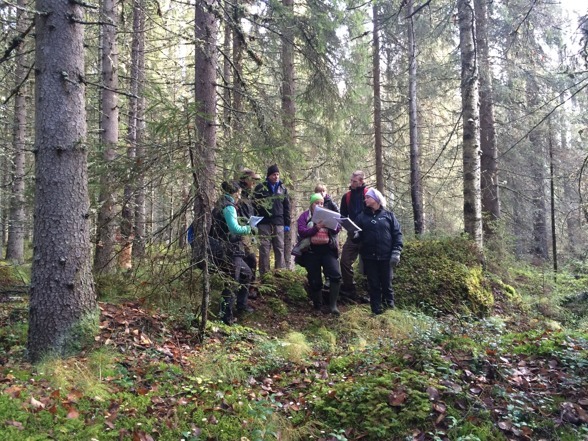 The symposium is a way to welcome researchers from all around the world to come and work with us, but there is one important condition – we work with open data, says Hjalmar Laudon, who also works as a research leader in Future Forests. 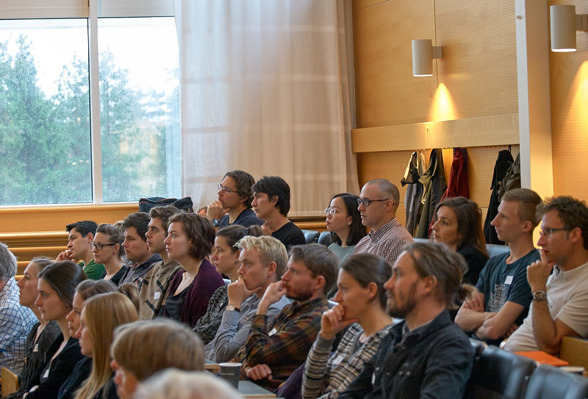 Over the years, the Krycklan symposium has become a well-established meeting place for scientists from different parts of Sweden and the world. Participants also represent practitioners from authorities such as the Swedish Forests Agency and from the private sector and forest owners. Many participants return year after year, and seem to appreciate the open and welcoming atmosphere. This year's theme was forest ditches, small streams and forest buffer zones. All are components of aquatic ecosystems that are easily overlooked. Really small streams that you can easily step over without effort, and that might not even visible during parts of the year might at a first glance be perceived as less important parts of the watershed. . But it has been shown that 85% of the overall length of the watercourses consists of small streams whose catchments are less than one square kilometer. - The small watercourses are capillaries of the forest waters, it is those who have contact with the forest soil. It is important that we begin to see the headwaters are not only important downstream, but we must begin to see them as important in themselves, because their buffer zones really control the water quality, says Hjalmar Laudon. Forest trenches divide forest stakeholders. On one side, we find those who want to restore the trenches in order to increase forest growth, on the other side those who see the forest trenches as problematic, from a nature conservation point of view. - The idea was to open our minds to new approaches and issues by inviting experts in both small streams and forest ditches and try to combine different perspectives. The link between the artificial water bodies and the natural - how does it look? What do they have in common and what is unique?, says Hjalmar Laudon. And when should a ditch be treated as a stream? That is the key question in this discussion. Among this year's invited guests were David Kreutzweiser, Canadian Forest Service, John Richardson, University of British Columbia, Samuli Launiainen and Ari Lauren from the Finnish Natural Resources Institute LUKE, Timo Hiltunen from Metsähallitus, which manages state forests in Finland, and Axel Anderson, University of Alberta and Chris Evans, the Centre for Ecology & Hydrology. Krycklan Catchment Study was initiated 35 years ago by Kevin Bishop and Harald Grip. Since then there have been over almost exponential increase in activities. 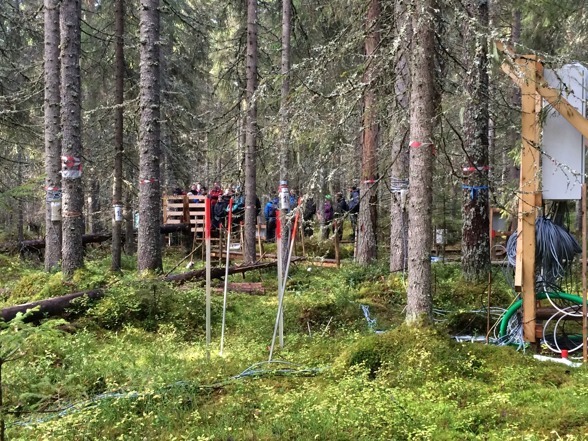 Today, there are datasets from the study, which is unique in its scope and which attracts scientists from around the world to cooperate with SLU's successful forest water scientists.